Outside his practice, Dr. Gokhale enjoys spending time with family and friends, and likes tennis, golf, swimming and bowling. 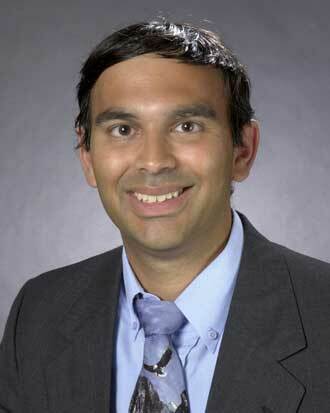 Best Doctors in Augusta, 2006 Best Doctors in America, 2005-2006 Best Doctors in Augusta, 2004 America's Top Ophthalmologists, Consumer's Research Council of America, 2002-2003 Dr. Gokhale was assistant professor and director of the Glaucoma Service in the Department of Ophthalmology at the Medical College of Georgia from 2000 to 2006. I have great confidence in the Dr. and his staff. I have the highest degree and confidence in Dr. Gokhale´s expertise in the care and providing solutions for my glaucoma care and overall eye care. He is most professional, skilled and well regarded. This is a very busy office. Dr. G. seems always to make time to assess and answer questions without a sense that he needs to be somewhere else as I know his schedule is full. Very pleased with this doctor. Friendly, prepared when he enters exam room,shares results of tests with explanations, discusses further treatment options. the most organized of physicians! He even took time to answer a question for me after the appt., when I was scheduling surgery. excellent in all aspects of care -- the medical side, ability to relate to patient, customizing care to patient´s situation. A real asset to Virginia Mason. *Dr. Gokhale is an excellent ophthalmologist - I have recommended him to others. Dr. Gokhale is a very fine doctor. I trust him. Dr. Gokhale explains everything in clear terms. Answers all my questions. Couldn´t be more helpful. My eyes are safe. Overall a very good experience with this appointment. I can´t ask for a better doctor (Gokhale) always answers my questions and always caring doctor - Dr. Gokhale has been seeing me for some time! 8-10. I really like VM doctors. Dr. Gokhale explained everything in detail and with thoughtfulness. To be frank, I really didn´t want to know. my brother was with me and found it interesting and helpful. The Dr. is excellent. He is kind, caring, and very, very knowledgeable. He does an excellent job. TALKED WITH ME not to me. Dr. Gokhale is extremely professional and competent and very considerate. I highly recommend him. My eye doctor has always been the kind of person you can trust. I would definitely recommend the Dr.
Dr. Gokhale is a caring provider and very thorough in explaining results of the testing and how he wants to move forward. Dr. Gokhale is very knowledgeable & communicates very well. My 1st choice for my eye issues. I am very pleased with Dr. Gokhale. I hope he is as good a MD as I perceive him to be. I´ve been seeing Dr Gokhale for a number of years now, he always has been good about telling me what is going on with my eyes. No need for me to ask lots of questions, he is very forthcoming with information to keep me informed. I like that. Dr. Gokhale is an excellent physician. He consistently demonstrates caring and competence, and I view him as a role model of what an outstanding doctor should be. I have been seeing Dr. Gokhale for many years and he has done eye surgery on me. I am very happy with the patient/doctor relationship. He is very respectful of the patient and helpful in explaining terms. Explained test results and developed follow up care plan. Did not feel rushed, had time to discuss and ask questions. my Doctor has been focused in my treatment and follow up, he also gave me a diagnosis with precision very fast, I´m very thankful. I could not be more pleased with Dr. Gokhale. He is thorough, patient, and goes beyond what is expected. I have never had a bad experience with this Dr. He´s always been quite informative which I like. Dr. Gokhale is the best. Dr Gokhale is thorough and gentle he is also articulate. He always listens and answers my questions, explains the before, during and after of procedures; his use of visual diagrams to help me understand is good as I am a visual, kinetic learner and information received aurally doesn´t stick as well without the visual component.He´s busy, therefore quick but will respond if I think of a question after my time is up. Dr. Gokhale & his staff have been SUPERB in the care and consideration they gave given me. I have used the Doctor since he started at VM. He is outstanding. Dr. always takes the time I need to understand what the issues are and what is needed. I am very pleased with my eye care. Always shows me results of visual field tests,with comparison to previous tests and makes sure that i understand the results. Dr. Gokhale conveys a sincere interest in the best outcomes. Dr. Gokhale is one of the best doctors I´ve had. He is someone I absolutely trust. He is thorough, accommodating puts me at ease and answers all of my questions. He is outstanding! Dr. G´s analysis of the Visual Field Test results are a little hard for me to track, but I get it at a general level. Best I´ve had for my eye care. Have recommended Dr Gokhale to others. He involved me in a decision about a possible medication change and after hearing my concerns decided to continue as before. I always feel un-rushed and cared for by Doctor. Dr. G. is patient and kind. His soft-spoken manner keeps me calm in an anxiety-provoking setting. I have confidence in his ability as a physician & in his desire to care for me well. Both Dr. Gohkale and his assistance- I wish I could remember her name are awesome. I´m very pleased with the service provided. I live in Alaska and believe that it´s worth my while and health to travel to the Virginia Mason eye clinic. Outstanding Doctor, excellent listening skills. Medication regimen was complex. Fortunately I was able to refer to the VaM website for written instructions. Invaluable resource. Doctor is the most organized provider that I have ever seen. Always interested, always explains proceedures. I appreciate this provider very much and is worth the wait. I know that he has full schedules everyday and then probably has to work in emergencies. Dr Gokhale has always been excellent at telling me what´s going on and how treatment is progressing. Couldn´t wish for a better doctor. Dr. Gokhale has always been superb at explaining my medical situation in terms that are comprehensible. Each and every appointment he takes the time to explain test results, changes, etc and the course of action. I´m very confident giving him the care of my eyes. Dr. Gokhale was EXCELLENT. Even tho´ from the time I made my appt. until my actual appt. date was a few months he was SO WORTH THE WAIT. He explained everything to me in a great manner and really made me feel confident that he would help me with any problems that I might encounter. Very caring. Personally _____ in my health _____. dr Gokahle is an exceptional dr. he listens is respectful explains everything so I can understand and is brilliant as well as very kind. he´s friendly most gracious a consummate professional and an excellent physician who is compassionate and caring. I trust him implicitly. Dr . G makes the wait time worthwhile. I have never felt rushed through an exam .I have the utmost respect for his expertise and level of concern. We come in from living 3 hours away to see him. Dr. Gokhale is very a very credible and caring physician. I feel I´m getting the best possible care. dr gokhale is very thorough and very reassuring. excellent experience.